The year always starts with the BETT show which for many, many people is the chance to go and see what products are available to purchase but for me I agreed to help organise the Teachmeet event. This ended up with me sort-of co-hosting it with Ian Usher, although he took the main chunk of the talking duties. It was a good event and people seemed very happy so I think we did a good job! The highlight of BETT this year was meeting so many amazing people and it is so nice to put faces and twitter names together (especially when they are as fab as Chris Mayoh and you end up on a trip to the theatre/pub). The next BETT event is just a few weeks away and will be even busier than the last one. This time we take children to present on various stands so it will be a great event I’m sure. One amazing moment of the year was the appearance on BBC Click which came about due to Mr Thorne and a contact with the BBC. We were invited to appear to discuss why and how we were including game design in our curriculum. So the BBC came in, they watched a lesson and spoke to some children. I think it looked amazing and I was very proud of the children and they represented out school brilliantly! Talking of children representing our school, we were invited to have a small stand at a Hampshire headteacher conference were we were due to discuss our innovative curriculum grant. We had used the grant to work with other local schools and to start blogging and using Google Apps. Despite not having an internet connection we managed to show screenshots of our work and the people attending seemed very happy. We took three children with us and they were outstanding. I stood back at one point and just watched them talk to headteachers, teachers and advisors and I beamed. It was hilarious watching Sam talk to one headteacher, he said “this is our blog, we use it to share learning with the world and then the world write back. If you want to know more, here is Mr Addison’s card, he’s busy talking to some other people right now but he likes helping schools” and he promptly handed my card over, shook their hand and wished them a good day. Not bad for a Year 4 child. 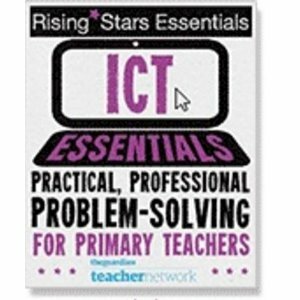 It put him top of the list for BETT 2012! On a professional level, being invited to present at an event or conference is always an honour, so getting invited to run a workshop at the Northern Grid conference was a fantastic experience. I felt humbled just looking at the list of other presenters and I thought there was some mistake when I was invited. I shared the workshop with Jan Webb and it seemed to go down quite well which is all I can ask for. Sharing ideas is always a great experience and it was wonderful seeing people like Dughall McCormick and Dan Roberts choosing to attend our workshop. Oh and I almost forgot, being shortlisted for the Scholastic Education Blog Awards for Teacher Blog of the Year was also quite exciting too! Curriculum – We’re well on the way to embedding ICT across the curriculum and although there is still a long way to go. I have created the www.ictplanning.co.uk website which is nearly finished so I will be adding more ICT plans in the coming months. Google Apps vs Live@edu – This time last year we were deciding between the county-led Microsoft offering or the free Google Apps suite. After meeting with Microsoft in January, they shared the costings with us and they were laughable. TO be able to share documents online in my school would be £2,500+ per year compared to Google’s £10 a year (for the domain address). There really wasn’t a competition between the two and the more we use Google Apps, the more our decision looks like a fantastic one! Children – As mentioned already, our children are phenomenal and the digital leaders are going from strength to strength. We have a large team of them doing all kinds of different jobs across the school and 2012 is going to be an even bigger platform for them to share their excellence with others. They make me very proud indeed. Blogging – This time last year our school had finished one term of blogging and we had just reached 43,000 hits. 12 months later we’re just short of 300,000 and in term time, we get around 800 page views a day. I’m not sure how, but it’s great that people are interested in seeing what our children are up to. I will write a blog post in the next couple of days to share my targets for 2012, it’s going to be a very big year!! What have been your highlights of 2011? Do take a look at the #bestedu2011 hashtag for other people’s highlights of 2011. @zoeross19 – For helping me with my Google Certification process and for being my sidekick (or boss) when we have been training people how to use Google Apps. She’s been a star. @deputymitchell – For services to blogging. Your school may never be able to match what he is doing, but he is leading the way in getting schools to blog. I feel honoured to have him amongst my friends. @dughall – A top, top bloke. He knows a lot about loads of different things and is always on hand to help with a project or idea. He is also responsible for my highlight of the year. Watching our Year 1 and 2 children Skype-ing with Santa is a true delight. It makes me laugh everytime and the children (and teachers) love it. @oliverquinlan – When he left teaching I thought he was crazy but in just a term in his new post it has been great to see the effect he has had on trainee teachers at Plymouth. They have a bright future ahead. @ohlottie – For being a lovely person to talk to. I’m glad we finally met this year and I feel proud to have helped her with some of the things she’s been doing in her school. @simcloughlin – I met him for about 5 seconds at Bett this year in a crazy spell on the Saturday and it wasn’t enough. His blog has been a great read throughout the year. He doesn’t post often but when he does, there are lots of great ideas in there. @kvnmcl – If I could be a child again, I’d want to be in his class. @2simpleant, @brainpop_uk, @chrisrat, @andreacarr1 – Amazing people who work on the ‘dark side’! Just kidding 🙂 These are people and companies that really listen and put teachers and children first. Thanks guys. @girlyrunner1 – Dawn has just left our school and there will be a hole when we go back in January. Her class blog was amazing and she would take any stupid ideas I threw at her and try them out. She also threw some my way too which helped a lot! I wish her all the best in her new role. She’s going to be an amazing deputy-head.